Florence Nightingale had been named after the Italian city of Florence where she was born in 1820 to a wealthy English family. Her upbringing should have been conventional for a well-to-do family in Derbyshire. However, she would not accept the social restrictions and ambitions of her parents and sought to carve out a life for herself. 'It was as if I had wanted to be a kitchenmaid' said Florence of her family's horrified opposition to her plans to train as a nurse. How could such a cultured, wealthy, educated lady wish to spend her days with nurses whom everyone knew were a coarse, ignorant, disreputable class of female, all too often drunk or worse. It would shame her family. And yet, Florence had felt a powerful calling and would not be diverted from her chosen path. Indifferent to the charms of 'Society' and turning her back on marriage proposals, she spent her days studying official reports on health, sanitation and hospital conditions. In her first London 'Season', she took to inspecting military hospitals, and by the time she was thirty she had visited and worked in hospitals all over the continent. Her training included periods at the renowned hospitals at Kaiserwerth in Germany and the Maison de la Providence in Paris. She was more than just a caring individual. She was a talented, determined lady who had a fine brain. She made herself an expert in public administration and the relatively new field of statistics - even more unusual for women at the time. She became a recognised authority on hospitals and health care. In 1853 she was appointed superintendent of the Institution for the Care of Sick Gentlewomen in Harley Street. Her social standing and education did open doors that may have been denied to women of a lower social standing of the era. Her social circle would include Sidney Herbert, the Secretary of War. It was to be this contact that would lead to her most significant opportunity in the field of healthcare. When cholera broke out among British troops at Varna, not long after their arrival, they were sent in ever increasing numbers to the Turkish Barrack Hospital in Scutari, Turkey. Despite being classified as a 'General Hospital' it was assumed that the facilities would be more than adequate to the task. In reality, it was a vast, dilapidated, filthy set of barracks. Beneath its four miles of corridors and rooms were great overflowing sewers which fouled the air of the whole building. It was damp and bare of any furniture - no beds, chairs, tables, buckets or even hospital equipment. Indeed, there was only one kitchen for the entire hospital. There was no cleaning staff and there were few doctors, nurses or medicine. The men were laid in rows on the dirty floors. They were often left unattended for days at a time - not even for a drink of water. Such scenes were nothing new to veterans of the army, it had been ever thus. What was different this time was the presence of war corresondent William Russell of the Times. He wrote despatches that showed the British public what the conditions were really like. It did not help the authorities to be compared so poorly to their allies the French - who had made much better provision for the treatment of their troops. Accusing fingers were pointed at Sidney Herbert, the Secretary of War. As the minister in charge of the financial arrangements for the army, he was naturally blamed for the 'criminally inadequate arrangements'. However, he was in fact deeply concerned with the welfare of the troops despite military authorities telling him that Russell's accounts were grossly exaggerated. 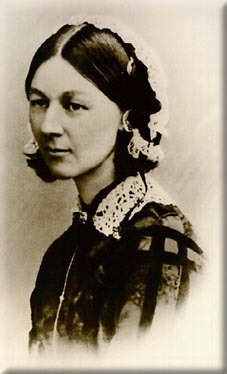 Feeling that the military authorities were closing ranks around the growing scandal, Sidney Herbert took the decision of inviting his good friend Florence Nightingale to go and evaluate the situation for herself and to become the 'Superintendent of the Female Nursing Establishment of the English General Hospitals in Turkey.' She was despatched rapidly with a party of 38 nurses. On hearing of the appointment, the Army Medical Department and the doctors at Scutari were less than impressed. Overworked and understaffed, they were not looking forward to the arrival of a society woman with nurses who nothing of army conditions and procedures. On her arrival, they did little to aid Florence. Her party were allocated just five damp and dirty rooms, a kitchen, two beds and a few chairs. Florence refused to be cowed by the conditions. She did not complain and set about organising their area as efficiently as they could. In the meantime they would wait for the doctors to call upon their expertise and store of drugs and supplies that they had brought with them. The nurses were ordered not to enter a ward without the permission of the doctor. Many of the nurses were convinced that it was immoral not to help the suffering soldiers. Florence though was determined to demonstrate that they were there to work with and not against the doctors. The nurses did not have long to wait. Soon, casualties were returning after the bloody battle of Inkerman. It soon became a flood. This was further swelled by victims of the harsh Crimean winter. When a blizzard blew down tents and wrecked ships bringing fresh clothes, food and forage, many of the men were forced to spend the winter out in the open in the atrocious conditions. The hospital corridors would soon be crammed with men suffering from dysentery, cholera, rheumatic fever and frostbite. All of these were in addition to the battlefield wounded. The doctors soon turned to Miss Nightingale and her nurses for help. Meanwhile, conditions outside of Sebastapol were deteriorating. There was no bread, tea or fuel getting through to the troops sleeping rough on the ground. By January there were 11,000 soldiers fit for duty outside the city compared to 12,000 in the hospital at Scutari. It was, said Miss Nightingale, a 'calamity unparalleled in the history of calamity.' 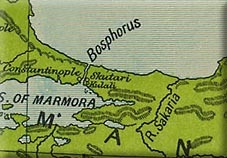 To her indignant fury, stocks of preserved foods, lime juice, tea, blankets, clothing, medical supplies, and other necessities were held up in the 'bottomless pit' of the corrupt Turkish Customs House or were being withheld in the Purveyor's store awaiting official examination and paperwork to be in order. It was little wonder that the British government back in London would fall over the poor conduct and organisation. Worse was to occur as an epidemic broke out in the hospital itself. It killed so many people that the doctors and nurses were reluctant to go on their rounds. It was assumed to be some form of cholera. What came to be known as 'Nightingale Power' saw a transformation in the conditions of the wards, facilities and infrastructure of the hospital. The cesspools and sewers beneath the building were identified as being overflowing and disgusting. They were cleaned out, limescaled and flushed through repeatedly. This did the trick of removing the source of the cholera epidemic. "Orderlies were wanting, utensils were wanting, even water was wanting. I supplied all the utensils, including knives and forks, spoons, cans, towels, etc... and was able to send instant arrowroot in huge milk pails (two bottles of port wine in each) for 50 men... I am a kind of General Dealer in socks, shirts, knives and forks, wooden spoons, tin baths, tables and forms, cabbages and carrots, operating tables, towels and soap, small tooth combs, precipitates for destroying lice, bedpans and stump pillows." Indeed, it was to be her administrative skills that were really to revolutionise medical care in the British Army. All data was meticulously recorded - however insignificant. She could therefore prove, through the innovative use of pie charts, that her hygienic, organised approach worked. The death rates declined so precipitively that few could argue with her methods. Oddly, there was argument to be had. For her entire life she would never be convinced of the existence of germs. Pasteur was shortly to prove that they did exist and that some of them were responsible for the transmission of diseases. Miss Nightingale would cling doggedly to the idea that disease was spread by 'bad air'. She believed that her data proved her case. Spreading out the beds, introducing fresh air etc, all helped the decline in death rates. Of course, the emphasis on hygiene, fresh air and good quality food would also help keep germs at bay. Her methods were right, her understanding of why they worked were flawed. Florence's transformation of the facilities at Scutari would be noticed by the new press who made her into a household name back in Britain. Queen Victoria would be impressed of the care given to her beloved sick soldiers. On asking if there was anything that she could do as Sovereign, Miss Nightingale wrote back asking for the pay of sick soldiers to be improved - which it duly was. 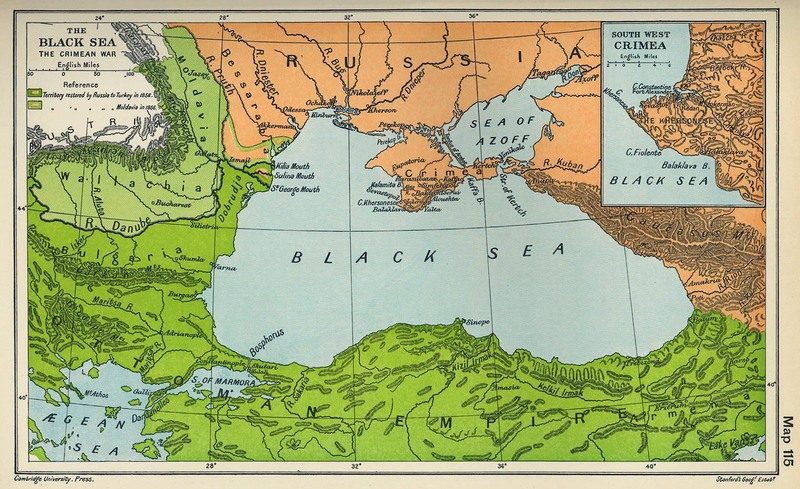 Florence then moved to the Crimea itself in order to supervise the administration at the Balaclava hospital there. This was nearly her undoing as the tired and exhausted Florence succumbed to what was dubbed 'Crimean Fever'. For days she lay close to death being nursed by her own colleagues who eventually managed to bring her back to health. The country longed to have her carried back on a warship for a triumphant return to Britain. True to her nature, she slipped unnoticed back to London. She took a train north and walked home to meet her family. She never once appeared in public or made any public speech or statement. Her lobbying however intensified. She would be a key witness to the 1857 Royal Commission to investigate the sanitary conditions and procedures used by the army. Women were not allowed to present themselves in person. However, her meticulously gathered records, pie charts and data spoke for themselves. They would form a key part in the recommendations for improvements that the Royal Commission would prescribe. It would lead to the professionalisation of the armed forces medical services. For the rest of her life, Florence would dedicate her energies to reforming the Army Medical Service, reform of hospitals and the establishment of nursing as a professional service. Her health had never fully recovered from her time in Crimea and yet she lobbied incessantly for the improvement in soldiers' conditions and founded the `Nightingale School for Nurses at St Thomas's Hospital in London. She would advise nations all over the world in the establishment of nurse training facilities and hospital design and administration - France, America, India and many others. In 1860 her best known work, Notes on Nursing, was published. It laid down the principles of nursing: careful observation and sensitivity to the patient's needs. Notes on Nursing has been translated into many foreign languages and is still in print today.